Fall and apples go hand in hand. I have many fond memories of picking, eating and baking with apples each fall as a child. I am enjoying making similar memories with my family these days. From trips to the orchard, baking sweet apple treats, and even crafting and decorating with apples we are enjoying the season. 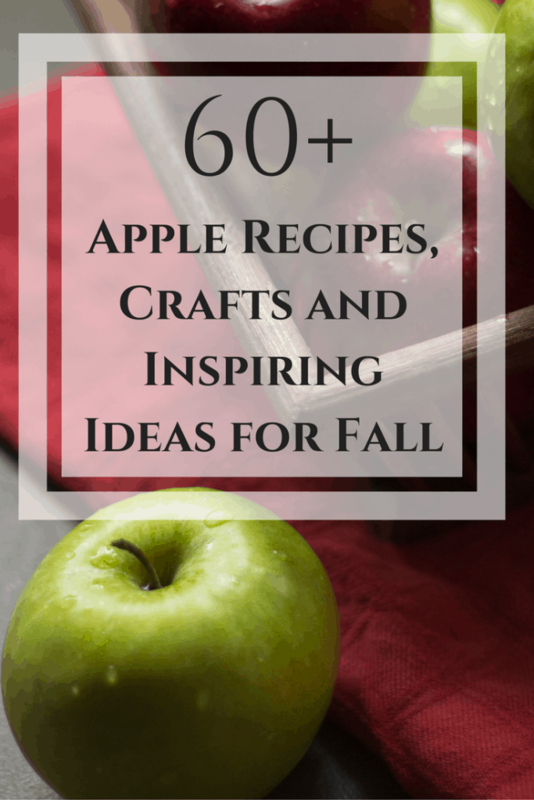 I have teamed up with some amazingly talented friends from the Social Fabric community to share a collection of apple recipes crafts and inspiration for fall. I know you will enjoy them and hope they inspire you to create some apple themed memories this fall. Can you believe all these incredible apple recipes crafts and inspiring ideas? Be sure to bookmark or pin this page so you can come back and try out all the recipes, crafts and activities with you and your family! Check back next month when Social Fabric features posts with a pumpkin theme. You can always search the hashtag #SoFabSeasons to find more of what you’re looking for!